Vern Poythress has published a new book entitled, Chance and the Sovereignty of God: A God-Centered Approach to Probability and Random Events. 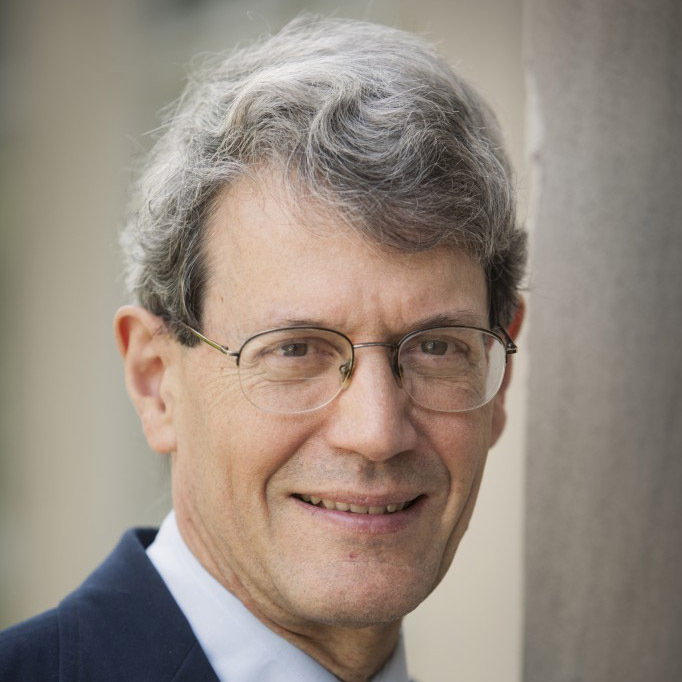 Poythress is Professor of New Testament Interpretation at Westminster Theological Seminary, as well as the Editor of the Westminster Theological Journal. He earned a B.S. in mathematics from California Institute of Technology (1966) and a Ph.D. in mathematics from Harvard University (1970). After teaching mathematics for a year at Fresno State College (now California State University at Fresno), he became a student at Westminster Theological Seminary, where he earned an M.Div. (1974) and a Th.M. in apologetics (1974). He received an M.Litt. in New Testament from University of Cambridge (1977) and a Th.D. in New Testament from the University of Stellenbosch, Stellenbosch, South Africa (1981). He has been teaching in New Testament at Westminster Theological Seminary in Philadelphia since 1976. In 1981 he was ordained as a teaching elder in the Reformed Presbyterian Church Evangelical Synod, which has now merged with the Presbyterian Church in America. He is the author of numerous books, which you can read about here. I recently had the pleasure of talking to Poythress about his new book on chance and divine sovereignty. Honestly speaking, I was a bit surprised by the topic of your book. What can really be said about chance if one firmly believes in the sovereignty of God? Now we must be careful. The word chance can be used in more than one way. Some people use the word to describe events that they claim are outside God’s control. This claim is not true. The Bible indicates that God controls even the details in this world (Prov. 16:33; Lam. 3:37; Matt. 10:29-30). But the word chance can also be used in an innocent way to describe events that we human beings cannot predict and events for which we do not understand all the causes. (“Time andchance happen to them all,” Eccles. 9:11 ESV.) “Chance” events are unaccountable only from ahuman point of view. So we might say that there is no chance from a divine point of view. But it is also important to observe that God designed us in such a way that we experience “chance”–we experience surprises. Our experience of chance is not an illusion, and we should not see it as an “unfortunate” limitation. Rather, it is fortunate; it is a blessing from God. We have just the kind of experience of unpredictability that God designed us to have. In addition, God understands completely every human point of view and all the effects that our limited human knowledge brings with it. Chance events are important in revealing the very character of God to us. For one thing, they remind us again and again that God’s knowledge is greater than ours. Properly understood, they encourage us to trust in God and not in ourselves. God controls the events, but they are outside our control and outside our ability to predict. Chance events also exhibit in a powerful way God’s creativity. God did not need to create the world. From everlasting to everlasting he is God, even without the existence of the world. He did not need the world. And, having decided to create the world, he had many choices about just what kind of a world he would create. The same goes for his providential governance of the world, now that he has created it. God decides that weather, plants, animals, and human history develop in one way and not another. His decisions are creative and often surprising. All these creative decisions remind us that he is the original creator, which every instance of human creativity imitates. In this way, chance is a wonderful thing. Chance events display the glory of God and his character. Is “chance” an indispensable tool for the scientific enterprise? Many areas of science focus primarily on the regularities concerning how God governs the world. But chance also plays an indispensable role in experimental science. Experimental science depends on repeated experiments. And repeated experiments never come out exactly the same. There are small “chance” variations in the measurements. Many experimental scientists use sophisticated tools from the theory of probability and statistics in their analyses of these variations. So we can say that chance plays an integral role. All of science is influenced by experiments, and experiments always depend on a conception of the meaning of chance variations. Science depends on God, who governs the chance variations in a dependable way. I think this topic can hit a spiritual nerve because, if we are honest, most things in our life appear to happen completely at random. Prayer may seem just as chancy as a roulette machine: we pray and sometimes results appear and just as often they don’t. Life doesn’t appear to be like a sit-com where serendipitous events happen with uncanny frequency. Are we just interpreting life with purpose when there is none? Underlying people’s uneasiness about the meaning of life is the question of God. Does God exist? And if he does, what kind of God is he? Here is one place where the Bible has an important role to play. God gave us the Bible as the very word of God, and it introduces us to Jesus Christ, who is the one whom God the Father sent in order to restore us to a personal relationship to God and gives us a knowledge of God. When we come to know God and trust in him, we gain confidence about the way he is governing the world. Many people are trying to get answers for themselves, all by themselves, without admitting that they need God. They need God himself even to provide solid answers about God. But once we humble ourselves to admit that we need God’s instructions, and when we come to God through Christ, we get more and more answers. There are still many events that happen in surprising and unaccountable ways. The Book of Job and the Book of Ecclesiastes in their own ways tell us that we cannot master life or find out all the purposes. But if we know God, we know that he has purposes, even when those purposes are beyond our understanding. “We know that for those who love God all things work together for good, for those who are called according to his purpose” (Rom. 8:28). God calls us to trust his promises, even when we cannot see what are his purposes. Would you mind responding to this video? Dr. Tyson has a lot to say in two and a half minutes, and it is difficult to respond to all of it in a few paragraphs. I can only touch on a few points. Dr. Tyson argues that the universe does not have purpose. He appeals mostly to scientific information and scientific theories. In fact, scientific laws testify to God who ordained them (see Vern Poythress, Redeeming Science). So science itself shows divine purpose from one end to the other. Dr. Tyson’s reliance on science is actually a nonstarter if he wants to show the opposite—that there is no purpose. A good deal of the video amounts to citing the big spans of time involved, compared to human life times, and the huge number of living things involved, in comparison with humanity as a single species. To Dr. Tyson, all this seems “inefficient.” And the presence of natural disasters suggests to Tyson that the universe is not friendly to us. In the end, Dr. Tyson is revealing to us his personal preference: if he were God, he certainly would not have done it this way. Dr. Tyson criticizes those who in “hubris” think that humanity has a central role in the universe. And indeed it would be hubris to project human guesses out into the world without divine revelation. The decisive question that Dr. Tyson travels by too rapidly is whether there is such revelation, both in the world that God made and in the Scripture that he has provided as his word. It is not hubris, but wisdom, to listen to God. Ironically, Dr. Tyson is doing something similar to what he criticizes: he is projecting into the world his human guesses about how a god should have done things. It is hubris to imagine, as Dr. Tyson does, that one’s personal preferences for how God ought to do things constitute a weighty argument. I suppose that I am being asked about this particular video because near the end Dr. Tyson makes a statement that depends on probability: he writes “99.9999%” on a whiteboard. The context suggests that he is 99.9999% certain that the universe does not have a purpose. The irony is that his statement relies on God. God’s purposes establish the very meaning of 99.9999%. Without God’s purpose, there is no meaning in language, and there is likewise no meaning to probability. The very conception of probability depends on the complex interplay of regularity and unpredictability, both of which are established by God in his faithfulness and creativity. I discuss this issue at greater length in the chapter of my book entitled, “Is God Probable?” The answer is that God is not “probable”: he provides the very foundation through which probability exists. So far, I have focused on the more theological or spiritual dimensions of your book. Do you feel you are also making a contribution in your book to the academic study of probability? Yes. Parts III and IV of the book discuss the nature of probability. There are two main challenges here. One is to understand what probability is. Philosophers have given multiple explanations, but only a Christian approach provides a satisfactory answer. The second challenge is to understand how God reveals his character, wisdom, and majesty right in the midst of the academic study of probability. I attempt to show people how God’s eternal power and deity are displayed in probability, just as they are displayed “in the things that have been made” (Rom. 1:19-20). Could you explain the Heisenberg uncertainty principle, what it demonstrates, and how we should evaluate it through a Christian framework? Within quantum mechanics, the Heisenberg uncertainty principle is a principle originally formulated by Werner Heisenberg in 1927. It has an exact mathematical formulation, but the details are not essential at this point. Roughly speaking, it says that you cannot simultaneously obtain precise information about the location and the velocity of a particle of small mass. The more precise the information about the location, the more uncertain must be the estimate of velocity—and vice versa. The smaller the mass of the particle, the more pronounced becomes the difficulty. This uncertainty seems to be an intrinsic limitation, rather than a temporary limitation imposed by the current physical apparatus used for measurement. This principle has become an important discussion point because, if it expresses an intrinsic feature of physical reality, it spells an end to physical determinism. The behavior of a single small particle cannot be perfectly predicted, even in principle. This principle also sometimes comes up in discussions about God. Some people think that even God is limited and cannot make perfect predictions. But such an inference fails to distinguish between God and man. The Heisenberg uncertainty principle is a principle ordained by God, who specifies the very nature of the world. The principle specifies limitations in human measurements. It does not imply that God is limited. In fact, the uncertainty principle is a vivid illustration of the supremacy of God in his knowledge and control, in contrast to the limitations in human knowledge and control. In other words, it reveals the glory of God. Matthew Claridge is an editor for Credo Magazine and is Senior Pastor of Mt. Idaho Baptist Church in Grangeville, ID. 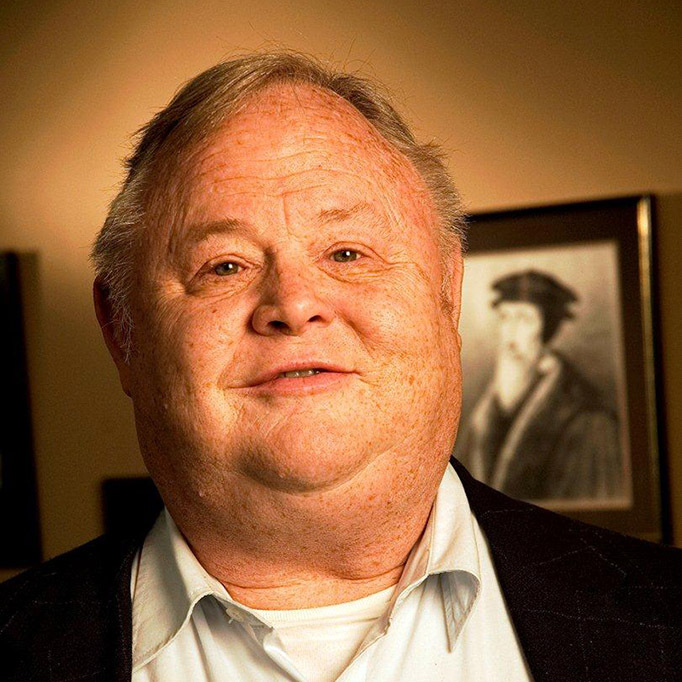 He has earned degrees from Trinity Evangelical Divinity School and the Southern Baptist Theological Seminary. He is married to Cassandra and has three children. “Of God and Slot Machines: An Interview with Vern Poythress,” by Matthew Claridge, Credo Magazine , originally posted on June 10, 2014, at https://www.credomag.com/2014/06/10/of-god-and-slot-machines-an-interview-with-vern-poythress/. Used with permission.